Do you accept credit or debit cards for payment for race day registration? Yes, we do. We accept cash, check, and debit/credit cards. Checks can be made payable to Courage Worldwide. 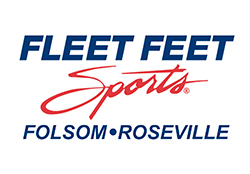 You can pick up your packet (bib and shirt) on Friday, June 10 at Fleet Feet of Roseville (1850 Douglas Blvd # 418, Roseville, CA 95661), from 1:00PM to 7:00PM and at the race on race morning from 6:30AM to 8:00AM. Do you require ID for packet pick up? Will I get a shirt? We are happy to announce that our 2016 Courage Run at Granite Bay will offer technical shirts to every 5k/10k registrant. Our Kids’ Fun Run registrants will receive a cotton t-shirt. Entries must be received by May 30, 2016, to guarantee receiving a shirt. After May 30, shirts will be available on a first-come, first-serve basis (limited quantities). Depending on your race we recommend you get there 45 minutes to an hour ahead of time to find parking, warm up and stretch. We’re sorry, but pets are not allowed, except for registered service dogs. While we realize it is fun for both you and your pet to run/walk together, this policy has been established by both our insurance company and us for safety reasons. Can I run/walk with my child in a baby/jogging stroller? We do permit baby joggers/strollers for this event, but we ask that you start in the back of the pack, whether you are running or walking. This is for your safety and for the safety of those around you. Children in a stroller do not need to be registered, but they will not receive a race shirt. Please note that scooters, bikes, skateboards, and roller blades are not allowed on the course. Can I wear an iPod during the race? We discourage the use of iPods or other music devices during the race. We love music, but we want you to be safe. The reason we discourage headphones is because they impair your ability to hear the directions of volunteers and police on the course, emergency vehicles, and other runners around you. If you do elect to wear headphones, we ask that you only wear them in one ear or keep the volume at a level that allows you to hear people and vehicles/traffic around you. Is there a Kid’s Fun Run associated with this race? Yes. We offer a ¼ mile fun run for children 10 and under. Do you have porta-potties on the course? YES. Portable toilets will also be available at the start/finish line area. Will you have a sweat/gear check for this event? Do you have race day registration? Yes, race day registrations opens at 6:30AM for all events. It will be located onsite at the race near the start/finish area. We recommend arriving at least one hour prior to the start time of your race in order to allow sufficient time to park, register, etc. How many miles is a 5K/10K? A 5K is 3.1 miles and a 10K is 6.2 miles. What kind of aid stations will be available on the course? The 5K will have two aid stations and the 10K will have four. Each 5K/10K participant will be issued a “bib” with his/her number on it. On the back of each bib is a disposable timing chip. This timing chip is encoded with the athlete’s name and race number. The computer chip allows for the most accurate race time.